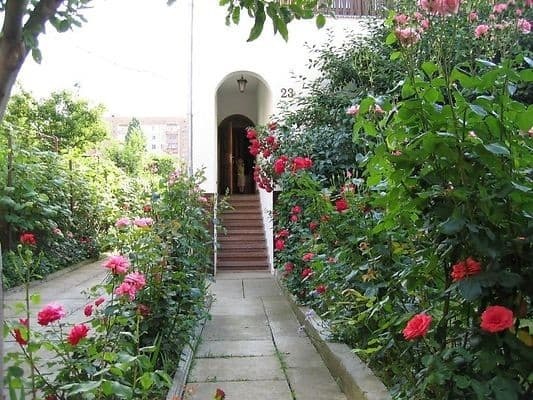 The house is situated in the city Mukachevo, the address: Generala Petrovestreet, 23. The house is new and well-habited, it is warm here in winter, and cool-in summer. 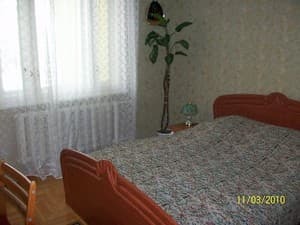 The guests are accommodated in the three rooms: one room is on the ground floor comprising 4 places, 2 rooms on the first floor with a double bed in each room. There is a toilet on each floor, on the ground floor there is a toilet and a shower, on the first - with a bath. The guests can have a rest in the living-room with a TVset and computer with the access to the Internet. 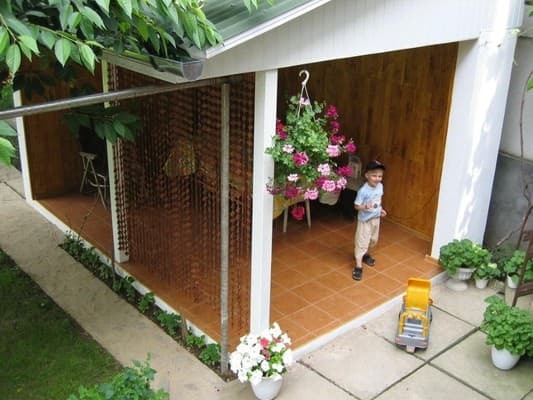 The guests can also have a rest in the summerhouse with a barbecue for preparing shish kebab comprising 6-9 people that is situated in the yard. 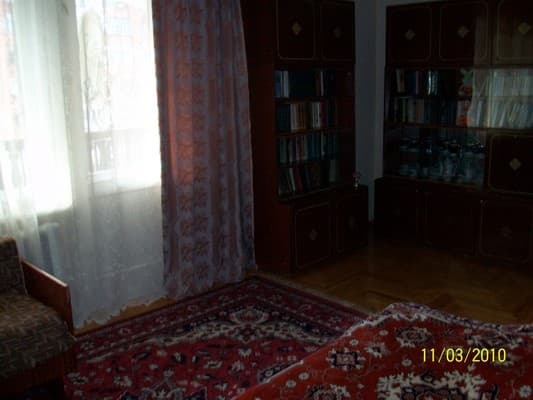 Description of the room: Room with a large double bed. Conveniences on the floor. Description of the room: Quadruple room with twin beds. Перебувала в садибi три днi. Все дуже добре, милi та привiтнi господарi. Враження в цiлому позитивнi. Отдых прошел прекрасно. В номере с балконом очень уютно и удобно. Номер просторный. За відповідну ціну отримуєш першокласну якість. Кімната простора, чиста, ліжко нове, доглянуте. Гарна транспортна розвязка - до кругу який виде на всі напрямки Київ,Ужгород,Берегове - 2 км, до центра 2 км. Поруч магазин зі всіма потрібними відділами. Власники привітні та добрі, допоможуть з пошуком будь чого (дорога, магазини, кафе, памятки, відпочинок тощо). Дуже тихий район. Відсутність особистого холодильника в кімнаті (але власники самі пропонували холодильник на кухні). Масса положительных эмоций. Все было на высшем уровне. Чистейшие номера. Гостеприимный персонал, всегда шли на уступки, подстраивались под наши потребности. Действительно, как будто у мамы дома. As the city is small, you can reach us both from the railway station, or from the bus terminal 30-40 minutes on foot. And it is possible to take a taxi and reach us in 7 minutes (cost - 15 UAH). If go on foot: at first reach the centre (to city hall - Ratusha), road will be prompted by any townsman. From the city hall through the bridge over Latoritsej you go to the district Rosvigovo (a place is also known to people). At an input to the area you will see the new big church ( nobody could ever pass it by, turn it from the left). Having passed 250 more metres forward on the main (concrete) road, you will see a shop "Ideal" at a crossroads (a local reference point), in 50 m from which opposite there is our house. The most convenient way here is by train. By bus is also possible. By plane to Uzhhorod and then half an hour by car.